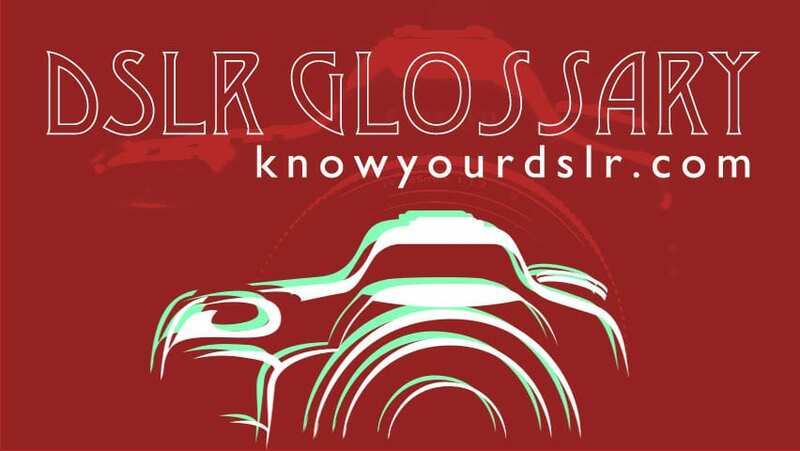 Welcome to Know Your DSLR’s glossary of digital photography terms. Here you’ll find a regularly updated set of simple, concise and jargon-free definitions to help you through the often somewhat baffling and acronym-packed lexicon of the DSLR (even the name DSLR itself warrants an entry). Autofocus – nearly all DSLRs come with autofocus. In autofocus mode the DSLR will automatically focus on the subject in the centre of the viewfinder (although many allow you to select other areas to focus on too). You engage “single autofocus mode” by pressing the DSLR’s shutter release button halfway down – when the subject is in focus you then press the button all the way to take the shot. If your camera has “continuous autofocus (AF) mode” it will try keep the subject in focus without you having to press the shutter release button. Autofocus systems generally work best in bright conditions where the subject is in sharp contrast to its background. Aperture – the size of the opening in the lens that determines the amount of light that falls onto the DSLR’s sensor. The aperture is measured in “f-stops” or “f-numbers” – which are calculated by dividing the the diameter of the aperture by the focal length of the lens. So a 50mm aperture on a lens with a focal length of 200mm would have an f-stop of 1/4 – generally written as f4, F4 or 1:4. Because f-stops are fractions of the focal length the higher the f-stop the smaller the aperture. The value of the f-stop has an important effect on the depth of field of an image. A larger f-stop (smaller aperture) will produce a greater depth of field. Control over this effect via the f-stop is one clear advantage of DSLRs over compact digital cameras because they lack the focal length or sensor size to match the range of depth of field that DSLRs offer. Artefacts – (or ‘artifacts’ if you are an American) refer to the unwanted distortion effects that can pollute a digital image. They range from moiré patterns to noise to JPEG squares. Buffer – this is the temporary storage space in your DSLR where image data is written before it is processed and written to the memory card. Generally speaking, the bigger the buffer the shorter the wait between shots. Buffer memory is typically measured in megabytes (MB) of RAM. Burst mode – also know as ‘continuous shooting mode’ allows your DSLR to take multiple shots in quick succession. The speed – in frames per second – and total number of shots varies between DSLRs. Shots taken in burst mode are typically stored in buffer memory before they are processed and written to the memory card. CompactFlash – a type of memory card used to store digital images and other data. These memory cards are physically quite large and offer storage capacities ranging from a comparatively measly 512MB to a whopping 64GB. There are four main speeds of CF card: the original CF, CF High Speed (CF /CF 2.0), CF 3.0 and the latest CF 4.0 standard. CF speeds are typically listed as multiples of 150kB/s (the speed of the original CD-ROM drives), eg 20x, 40x etc. Compression – the process by which large image files are squeezed into smaller files to make them easier to store and quicker to transfer. There are two types of compression: lossless and lossy. Lossless compression – used by a file format such as TIFF – does not discard any of the original image information and retains an exact copy of the photo. Lossy compression – used by a file format such as JPEG – can create smaller files but in doing so throws away some of the original image data. The more compressed an image is with a lossy method the more degraded it becomes. CCD – an abbreviation of charge-coupled device. This is typically used as a sensor found on cheaper compact digital cameras. CMOS – short for complementary metal oxide semiconductor. This type of sensor is usually found on DSLRs. Depth of field – put simply, depth of field is a measure of how much of an image, apart from the main subject, remains in focus. In other words, how much of the background and the foreground of the subject is sharp. Depth of field is mainly controlled by the aperture, focal length and the distance to the subject. A large aperture – for instance, an f-stop of F/2 – will have a shallow depth of field, leaving most of the foreground and background of the subject out of focus. This is often used for portrait photography, where you want the main point of interest to be the subject. With a smaller aperture – an f-stop of, say, F/11 – much more of the image will be in focus. Large depth of field is typically used in landscape photography where the whole vista is of equal importance. Moving closer to the subject will reduce the depth of field, while increasing the distance will increase it. If you use a lens with a short focal length then you will get a greater depth of field. Many DSLRs offer a feature that allows you to preview the image’s depth of field in the viewfinder before you take the shot. This is usually called a “DOF preview” or “optical preview”. DSLR – as in Digital Single Lens Reflex, but you knew that anyway, didn’t you? Single Lens Reflex cameras, whether digital or optical, allow you to see in the viewfinder the exact image that will be captured by the sensor or film. This is achieved through a clever system of mirrors (or sometimes prisms) that redirect the light coming through the aperture to the viewfinder. When the shutter release button is pressed the mirror folds out of the way to allow the image to be taken by the sensor/film. In older cameras that mechanical movement causes the resounding ‘clunk’ when a shot is taken. EXIF – an abbreviation of Exchangeable Image File – is the meta data your DSLR ‘stamps’ on an image file giving information about the camera’s settings at the time the image was taken. This information includes the date and time, the make and model of the camera, the resolution of the image and the aperture, shutter-speed, ISO and other settings of the DSLR. EXIF information can be read by most modern image editing programs including Adobe Photoshop, Elements and Apple’s iPhoto. Exposure is the amount of light that hits the DSLR sensor and is controlled by the size of the aperture and the shutter-speed (how long the sensor is exposed to the light). The sensitivity (ISO) setting will also have a major impact on the effects of different exposure settings. Exposure value (EV) – this is the value calculated by combining the settings for aperture, shutter-speed and sensitivity. The base EV of zero comes from an aperture of F/1, a shutter-speed of 1 second and an ISO of 100. High EVs are used in bright conditions where there is a danger of overexposure if the aperture is too large (low f-stops) and the shutter-speed too slow. F-stop also known as f-number, this is the measure used to determine the relative aperture size of a lens. It is calculated by dividing the diameter of the aperture opening by the focal length of the lens. So a 25mm aperture diameter on a 100mm lens has an f-stop of F/4 (from the fraction 1/4). Because f-stops are essentially fractions, higher f-stops mean smaller apertures and so less light hitting the sensor. Gamma is the setting on your computer’s CRT or LCD monitor that dictates the brightness of the displayed image. Windows PCs and Apple Macs have different default gamma settings which explains why images that look fine on a PC may look too bright or dark on a Mac. Histogram this is the bar chart you often see in the Levels controls of image editing software such as Adobe Photoshop. For digital images, the horizontal axis represents the tonal range of an image, expressed in values of 0 to 255: 0 represents pure black while 255 is pure white. The vertical axis indicates the number of pixels in the image that match that particular tonal range value. Put simply, the points on the left of the histogram represent shadows, the points in the middle of the graph are mid-tones while the values to the right are the highlights. So an underexposed image will have a shape that flattens out well before the end of the horizontal axis. An overexposed image will look like a share price that’s doing really well. And a correctly exposed image will start at the far left, rise to a peak near the middle of the histogram and flatten out smoothly to end at the far right of the graph at 255. Many of the better DSLRs let you view the histogram of an image on the camera’s LCD display to let you know immediately whether an image is over or underexposed. The hyperfocal distance is the focus distance with the maximum depth of field. When a lens is focused at this distance all objects from half of the hyperfocus distance to infinity will be in focus. (The industry standard definition says “acceptably sharp” and then spirals of into further definitions of what constitutes “acceptable”). The hyperfocal distance depends on focal length of the lens, the f-stop setting on the aperture and the so-called ‘circle of confusion’ – this oft-discussed but little understood term is essentially the margin of error of a lens within which a dot can appear to remain in focus. Got that? Well don’t worry it’s not really something you to master as our wonderful online depth of field calculator will do all the heavy mathematical lifting for you. Image editing software is the software used to improve a digital image once it’s been transferred from your DSLR to a PC or Mac. The most popular examples are Adobe Photoshop and it’s more consumer-orientated counterpart Adobe Elements. Typically, image editing programs are used to sharpen and crop images and fix over and underexposed shots by adjusting their tonal range levels. However there is a vast range of other tools and tricks in their armoury from smoothing out pockmarked skin to ‘improving’ a dull sky to adding motion blur to static objects. ISO – is derived from the world of film cameras and was the International Standards Organisation’s definition of the speed – or sensitivity – of colour negative film. The higher the ISO rating, the more sensitive to light the film stock; so an ISO of 100 would be fine for standard daylight photography while higher speeds would be used for fast-moving action or low-light environments. In the digital realm, the speed of the film is replaced by the sensitivity of the sensor, so as the ISO is ramped up to 400, 800 or even 3200 ISO then much less light is needed to take an image. But with the increase in sensitivity comes a similar increase in unwanted visual noise, in the form of speckles – particularly in the red and blue channels. Jaggies – the not-so-technical term for visible steps along lines or edges in a digital image. This is also known as ‘aliasing’. At higher resolutions these jaggies become nigh-on invisible but they can become evident in edges with sharp contrast – for instance a roofline against a bright sky – particularly if the image has been sharpened in image editing software. JPEG – is a digital image file format and short for the Joint Photographic Experts Group – the body that originally defined the standard. It is the most common file format used in digital photography because it is a lossy compression format that keeps file sizes relatively small and is easily transferred via email and the world wide web. JPEG files can be up to 20 times smaller than the original uncompressed image, but as compression levels increase so do visual artefacts in the form of distortion – particularly along edges – and he infamous JPEG ‘squares’. As memory cards grow in size and data transfer speeds, JPEG in increasingly giving way to lossless file formats such as RAW, particularly in the prosumer and professional markets. Keylight – the photographer’s term for the main light source that can cause predominant shadows. Kilobyte (k) – these days, a very small unit of digital data storage. 1024 kilobytes make up 1 megabyte (MB) and 1024 MB equal 1 gigabyte (GB). Megabyte (MB) – a standard unit of computer memory and memory cards. A megabyte is made up of 1024 kilobytes, while 1048 megabytes constitute one gigabyte (GB). Megapixel – or 1 million pixels. The standard unit of measurement for DSLR camera resolution. Generally speaking the more megapixels the better the image detail and quality but certainly in cheaper digital compact cameras more megapixels can bring more noise and lower quality images. Memory card – the removable solid state memory card that is now the standard storage medium for DSLR cameras. Among the various varieties available are SD, CompactFlash, SmartMedia, xD and Sony’s Memory Stick. Moiré pattern – the colourful wavy pattern that appears on an image because the detail on the subject matter exceeds the resolution of the camera. You also used to see it on TV presenters when they wore fine checked ties or suit jackets. Noise – this is the appearance of unwanted color artifacts in digital images, and is particularly visible in solid blocks of colour such as blue skies or dark shadows. It is the visual equivalent of the background hiss in hi-fi systems and just as Dolby invented a way to suppress that audio noise so today’s modern DSLRs have built in visual noise reduction systems. Noise increases with both temperature and sensitivity – so noise will be much more visible in images taken with higher ISO ratings. Noise reduction – the process by which a camera or imaging software removes noise from digital images. The best noise reduction techniques preserve the sharpness of the image and avoid introducing wavy patterns or ‘compression squares’ into blocks of colour. Pincushion distortion – a type of lens distortion which causes images to bow inwards on the horizontal and vertical planes. It is more common in cheap lenses or in zoom lenses when they are being used to their maximum. So a perfect square would appear to have its edges pushed in between the corners. It can easily be corrected with software such as Adobe Photoshop. PNG – an abbreviation of Portable Network Graphic. This is a type of image file format that is increasingly popular on the world wide web. PNG files can offer lossless compression but the format is not common in the DSLR world. PPI – an abbreviation of pixels per inch (alternatively known as ‘dots per inch’ or DPI). The higher the PPI, the better and more detailed the quality of the final image – especially if it is printed out. QuickTime – this is an image and video framework developed by Apple Computer to handle images, text, video, animation, music and panoramic images. RAW – a “raw” or unprocessed digital image. A RAW file is a complete download of what your DSLR’s sensor sees before it is processed in the camera. As a result RAW files tend to take longer to write to the memory card and occupy more space. 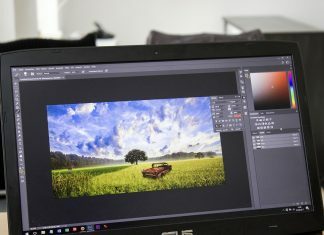 But they allow for more flexibility and options in post-processing, and as the cost of memory comes down – and software such as Photoshop and Aperture become more compatible with RAW – the format is likely to become more prevalent. SD card – short for Secure Digital card, a solid state memory card used in digital cameras, phones and other mobile devices. These memory cards are much smaller than the rival CompactFlash cards although they don’t have such high rates of data transfer. At present the maximum capacity of an SD card is 8GB. The speed of SD cards is measured in multiples of 150k/s – the speed of original CD-ROM drives. So an SD card rated at 40x would transfer data at 6MB/s. The higher the speed of an SD card the shorter the wait time between photographs. Sensor – the part inside the DSLR which turns the incoming light into digital data. The digital equivalent of film in other words, the process by which it works is only understandable – and interesting to – men in white coats. Thumbnail – a small version of a photo, usually used to present a number of images at once – like the old-style contact sheet. Usually clickable – at which point they open up a larger or full-size digital image. TIFF – an abbreviation of Tagged Image File Format and is a universal digital image standard, especially popular in the print publishing arena. Unlike JPEG it can offer lossless compression for the highest quality source images, but for DSLR cameras RAW is generally the better uncompressed format. Tonal Range – a photographic term used to describe the quality of color and tone ranging from an image’s darkest shadow through to the brightest highlight details, including all of the transitions in between these extreme levels. USB/USB 2.0 – an abbreviation of Universal Serial Bus. Essentially this one of the easiest ways to connect your DSLR to a PC or Mac. USB 2.0 is faster, although a card reader will be quicker still than connecting your camera with the USB lead. Vignetting This is the technical term for when the barrel of a zoom lens becomes visible on an image – usually in the form of dark corners. White Balance Digital cameras need a reference point for white in order to render all the other colours of the spectrum naturally. This is called the white balance. Often digital cameras calculate the white balance automatically – and get it wrong, resulting in flat, dull or unnaturally coloured images. This usually happens when the view is dominated by a particular colour or there is a lack of natural white colour available. The higher-end DSLR allow you to manually calibrate the white balance by pointing at a white card – while more inexpensive cameras may have a range of settings such as Fluorescent, Sunlight, Cloudy etc. White balance adjustment is also achievable in image editing tools such as Photoshop through the Adjust Levels command. Zoom lens – a variable focal length lens that when adjusted makes the subject appear closer than it is.